This year Navratri will be held at two mega locations, where you will find ample parking spaces(free of cost), plenty of space to play with very talented musicians and singers. 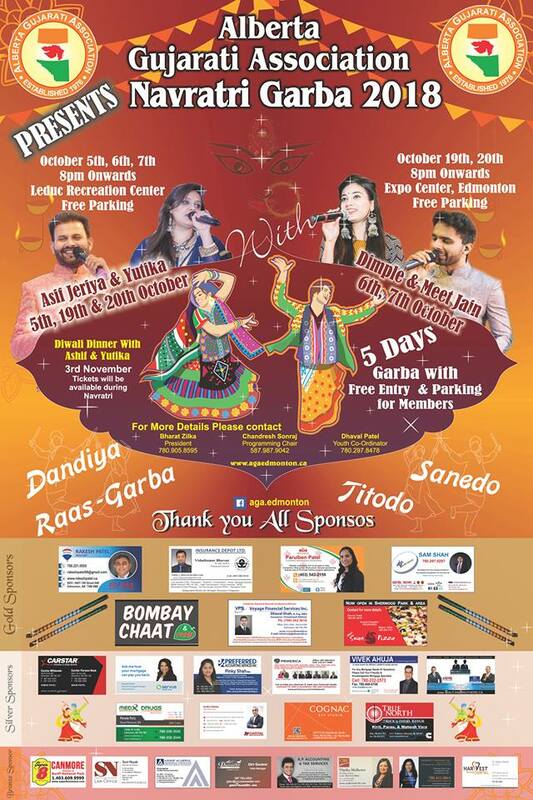 Remember admission to AGA members, and their immediate family (under 18) is free for all 5 nights of Navratri event. Hurry up… Don’t wait till last minute to become member… Membership rates will increase from September 15th,2018. (Family $70, Seniors $25 and Single $35). Please check our latest Navratri Flyer for further details and also see attached photos of venues.